Published date: Monday January 13, 2014 . Sometimes New York City feels like a small town. So it is when Ben Lerer arrives to dinner on a recent Tuesday night at Empellón Taqueria in the West Village. Sitting at one table is a girl he met in Ibiza a few summers back. At the next is one of the founders of Birchbox, one of many companies backed by the venture-capital fund Ben runs with his father, Ken. And behind the bar, mixing a pair of complimentary lageritas, is one of the restaurant’s proprietors, who also happens to be high-school best friends with my best friend from college, explains Ben, the rumpled co-founder of bro site Thrillist, who could still, at 32, pass as a University of Pennsylvania undergraduate. He plops down across from his father, who is peering dubiously at the cloudy drink from behind a silver lock of hair. Beer-based cocktails are more your sort of thing, he tells his son before taking a tentative sip. It’s good, he reports. I got like six cents from that, Ken says, then raises his eyebrows as a shriek from a nearby table pierces the air. I feel like I’m having dinner with these women, he says mildly. This place is definitely more his son’s sort of thing: Ken’s idea had been to go uptown to support the restaurant owned by his friend, former Time Warner chairman Richard Parsons. The Lerers would likely have run into the same number of people, albeit from a different crowd. While the younger Lerer’s Instagram feed features his Ivy-league-bred, zany-hat-wearing, luxury-loft-living peers, the elder Lerer travels in more refined circles. Best friends include former clients of his corporate PR firm and cohorts from his days as a flack for AOL, where he was tasked with talking up the Time Warner merger he knew would be a disaster. It was horrific, he says. It worked out for Lerer, though. He sold his stock at the height of the market for $40 million, then used a small fraction of it to finance the Huffington Post, which he would later sell to AOL, of all places, for $315 million. His main partner, the Huffington Post’s eponymous Arianna, is notorious for her charm, but her quieter partner can be just as beguiling. Within fifteen minutes of meeting me, he’s extracted the name of my infant son and is promising to take him to a Mets game when he’s old enough (the Lerers own a small stake in the team). 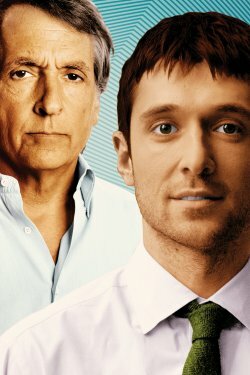 Though less visible, Lerer was regarded by many, including his son, to be pivotal to the site. A lot of people get credit for being very smart and doing great stuff, and I think he’s way better than he gets credit for, says Ben. I think you just wanted to hang out more, says Ben. Well, that’s true, admits Ken. But I also thought it was a good business. Benjamin lives with the men and women who are creating these companies, socially, in a way that I never would. Ben knew the people who had the ideas; Ken knew the people who had the moneyand had the public-relations savvy necessary to excel in a market in which value is determined almost entirely by buzz. After the Huffington Post sold to AOL, Ken had a lot more timeand moneyto devote to Lerer Ventures. They picked up stakes in HuffPo alum Jonah Perretti’s BuzzFeed (of which Ken became chairman), Business Insider (helmed by Henry Blodget, a friend), and Warby Parker (whose founders are UPenn alums). He already had a stake in gaming company OMGPop. After his firm’s indictment, Steven A. Cohen is richer than ever—but almost everything has changed. Who Etsy found on Etsy. His big idea: using yours.